Taoist adepts developed tai chi as both a martial art and a way to cultivate their physical body, energy body, and spirit body. Like all Taoist exercises, its main purpose is to form a connection to the basic energy that is the foundation of all life: chi. Until the beginning of the twentieth century, tai chi was considered a secret practice that was passed down only within a closely knit structure of family and loyal disciples. Despite its widespread growth in popularity as a martial art and health exercise, many of its underlying internal practices remain unknown. The Inner Structure of Tai Chi explores the deep, internal work necessary for the effective practice of tai chi. Designed for practitioners at every level, the book contains step-by-step illustrated instructions for mastering the 13 forms of early Yang-style tai chi, also known as Tai Chi Chi Kung. 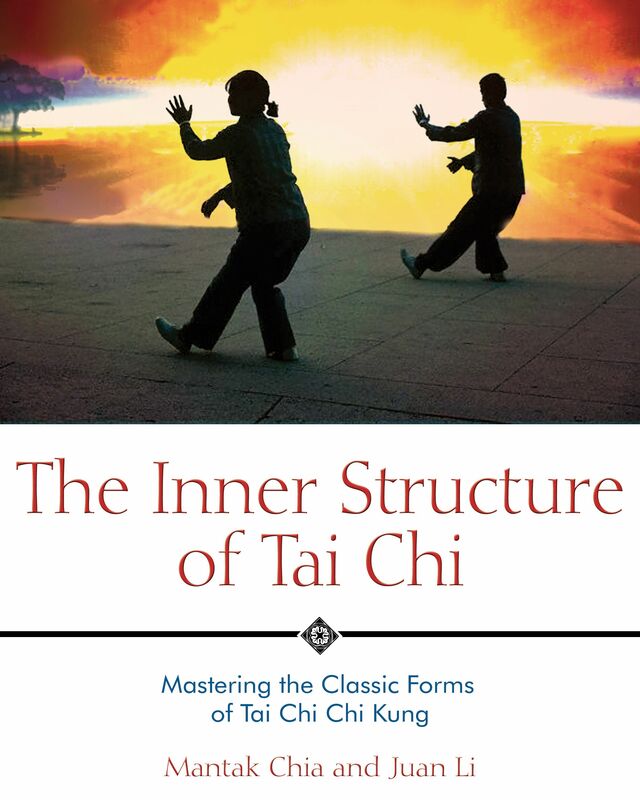 The authors demonstrate the relationship of the inner structure of tai chi to the absorption, transformation, and circulation of the three forces that animate all life--the Universal force, the Cosmic force, and the Earth force--revealing the principles and practices necessary to receive the full spectrum of physical, psychological, and spiritual benefits that tai chi can bring. Tai Chi Chi Kung is grounded in the principles of the Tao. The extent to which you have incorporated and integrated these principles into your movements determines your level of mastery. It does not matter if you know a long or a short Tai Chi form; what counts is knowledge and application of the Tai Chi principles. This chapter introduces the basic principles of Tai Chi Chi Kung. Study them, memorize them, and apply them in your movements. The best way to practice initially is to take one principle at a time and work on it until you can do it automatically, without conscious thought. Then work on the next principle in the same way until you have mastered them all. The second half of this book introduces the more advanced Tai Chi Chi Kung principles. Do not worry about learning these until you have mastered the more basic principles included in this chapter and have gained competence in the Tai Chi Chi Kung form (or another Tai Chi style) as presented in chapter 5. Eventually, with daily practice, you will discover that you have incorporated the Tai Chi principles into your everyday life--as you sit, walk, stand, and lie down, you will notice that you are moving in a fresh, effortless, and beautiful way. This is the reward of Tai Chi Chi Kung. Here, then, are the basic principles of Tai Chi Chi Kung. Just as in the universe, where all manifestation is an interplay of yin and yang, all the movements of Tai Chi are a constant interplay of yin and yang. Without yin and yang, active and passive, there is no movement. Tai Chi practice recreates the process of cosmic expression through the sequence of movements. The primordial state of Wu Chi is expressed in the first posture of standing still, totally centered and balanced--unmanifested. The moment the legs are separated and one begins to move, the process of yin and yang becomes active. In Tai Chi, yin and yang are primarily understood in terms of substantial (yang) and insubstantial (yin). This is what creates the flow of the energy. Substantial (yang) is a relative term in Tai Chi. It means the most active element of the moment. In terms of the legs, it can mean that all or most of the weight is on one foot. In terms of the arms, it can mean that one arm is in front and is discharging energy through a punch or push. Insubstantial (yin) refers to the other arm or leg, which is playing the supportive and stabilizing role at the moment. In terms of advancing and sinking back, an advance is yang and sinking back is yin. In terms of the breath, inhaling is yin and exhaling is yang. Raising the arms is yang; lowering them is yin. The weight is constantly shifting from one leg to the other. At the same time, one hand and arm are dominant while the other hand and arm play a supportive role. Just as with the legs, the active arm is constantly changing. The awareness of substantial and insubstantial has a very practical purpose beyond martial arts applications. Once the body learns to move by constantly flowing from empty to full, from full to empty, it becomes apparent that these same principles can be applied to social endeavors, personal relationships, career, and politics. The practitioner discovers how to work effectively with yin and yang, discerning when to yield and when to advance in daily life. The human structure is like a tree. The feet are the roots, the torso and legs are the trunk, and the arms are the branches. The inner foundation of Tai Chi is the life force; the outer foundation is the feet. The feet support the body’s entire weight, and at the same time they connect with the earth force. In Taoism the feet are considered the ground wire of the body. A chair or table is most stable when its weight is equally supported by all four legs. Similarly, a person is most stable when the weight is evenly divided over the nine points of the foot. These nine points are the heel, the outer edge, the small ball, the large ball, and each of the five toes. In Tai Chi we take great care to place these nine points evenly in contact with the ground each time we step and shift weight; thus the weight is poised over the middle of the foot, a point known as Bubbling Springs. This point is so named because when we align the body’s weight over this point, the earth energy seems to freely flow up into the body, just like a bubbling geyser. -- Twisting the ankle joint slightly outward while pressing the foot to the earth helps to transfer the earth force upward. The ankle joints are the place where one begins the process of transferring the body force and chi to and from the ground to the torso and arms. Pressing through the soles of the feet and gently twisting the ankle joints helps transfer the weight into the ground. Similar to the way a propeller converts fluid force into motion, this rotation converts body force to earth force, which can then travel up the leg to the spine, adding to one’s internal structural strength. Juan Li is a senior Universal Tao instructor who began his studies with Mantak Chia in 1982 and now presents these teachings throughout Western Europe. He lives in Spain. "I recommend this book as an integral component of any serious Taiji student and teacher." " . . . the present reviewer was often surprised by the effectiveness of the writing in communicating insight into complex physical movements and difficult aspects of the tradition as well as inspiring a desire to go out and put into practice new understanding." "I highly recommend this book for any tai chi student. It is a great introduction to the inner workings of internal energy and gives plenty of practice for more advanced students."